One of the characteristics of an artistically successful album is the artist’s ability to create an environment in the listeners’ mind, a place that the listener can enter and explore. Each song is like another room or emotion to experience. The songs don’t have to be linked thematically, like in a concept album or song cycle, but the overall vibe created by the artist clicks in such a way that the entire album becomes a journey with a beginning, a purpose, and an end. The War on Drugs has created such a work with their third full-length release, Lost In The Dream. 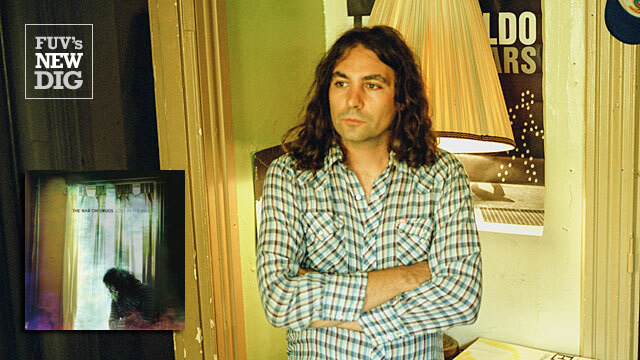 Adam Granduciel and Kurt Vile formed the War on Drugs in 2005, in Philadelphia. After they issued their debut album in 2008, Vile departed to return to his own career, leaving Granduciel as the band's sole creative force. He has carried on, with bassist David Hartley and a changing cast of musicians at his side. Lost In The Dream is an epic work, carefully written and produced by Granduciel. The album opens with “Under The Pressure,” a nearly nine-minute long, soaring opus. Granduciel’s appreciation for Bob Dylan surfaces throughout the album, especially in “Eyes To The Wind.” The spacious instrumental “The Haunting Idle” evokes the guitar sonics of Robert Fripp and David Gilmour, while “In Reverse,” the album’s sprawling finale, weaves together Dylanesque vibes with hints of Daniel Lanois and Dire Straits’ Love Over Gold. Lost In The Dream is a thought-provoking journey that reveals itself more with each listen.